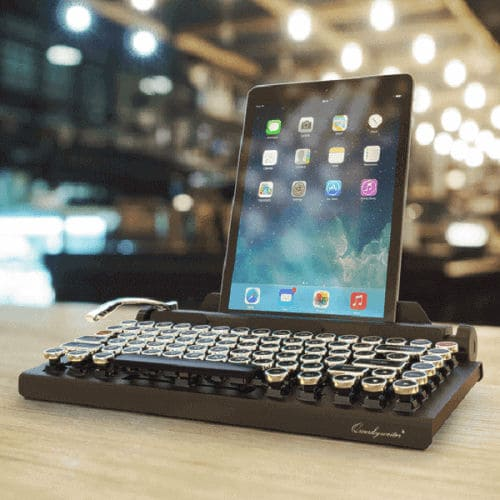 Qwerkywriter is a Bluetooth mechanical keyboard, with an old school design that simulates the tactile feel of a vintage typewriter. It has a built in tablet stand that fits up to 5/8 inch thick and large as the 12 inch iPad Pro. 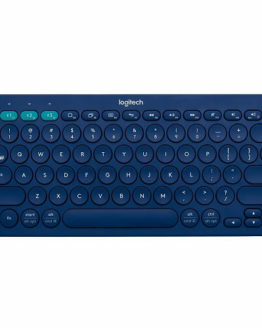 If you spend a lot of time on your computer, you might as well get a keyboard that types well and is fun and beautiful! 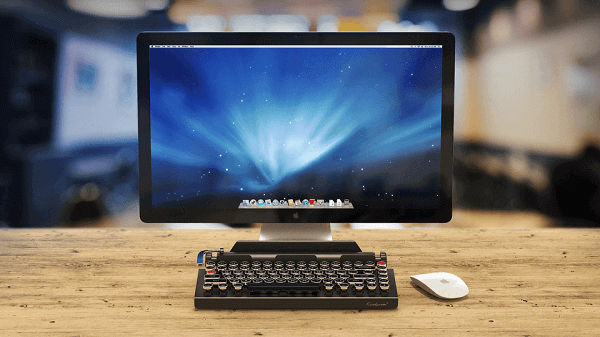 Well, the retro-style Qwerkywriter typewriter-inspired wireless mechanical keyboard may be the gift you are looking for. With its industrial strength mechanical switches, Qwerkywriter simulates a tactile feel of a vintage typewriter that is both satisfying and endlessly fun! 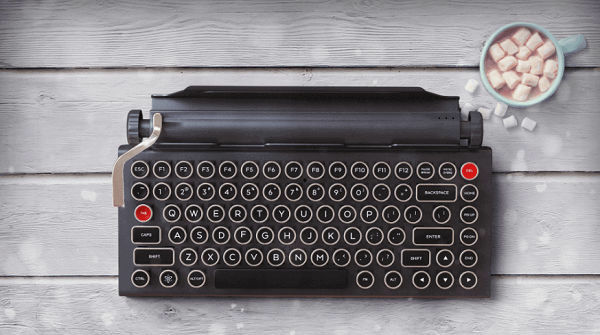 Qwerkywriter features vintage inspired round typewriter keycaps. 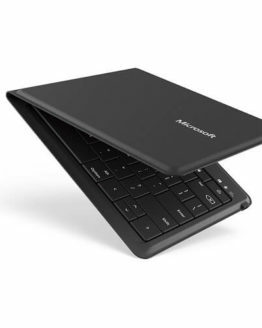 With its concave surface and touch-type support, it’s equally ergonomic and beautiful. 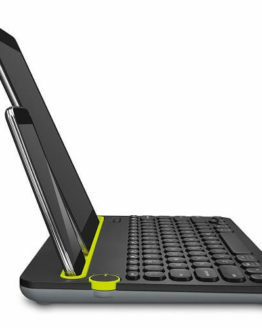 The Qwerkywriter was made for both desktops and tablets. 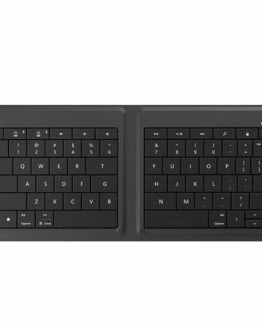 But if you do own a tablet, the Qwerkywriter can act as a built-in stand that can accommodate tablets up to 10 inches wide and 1/2 inch thick, such as iPads, Samsung devices, Surface 3, iPad Pro 12 inch and the Surface Pro 12 inch. 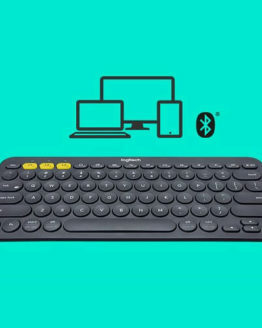 Qwerkywriter connects wirelessly to one Bluetooth device at a time – such as the iPhones, iPads, Macbooks, Android Tablets, and Windows Tablets. Its rechargeable battery has a promised life of between one and three months of heavy use. Qwerkywriter’s solid metal, chrome plating Return Bar functions as an ENTER key by default. It’s just simply satisfying to celebrate the completion of a paragraph by giving the bar a good slap. 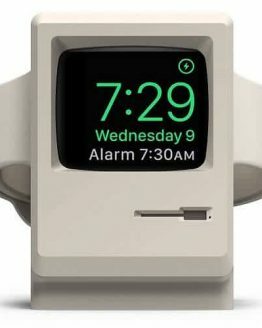 It’s also programmable, remembering up to 5 characters. Simply hold FN+Return Bar to record up to 5 characters. 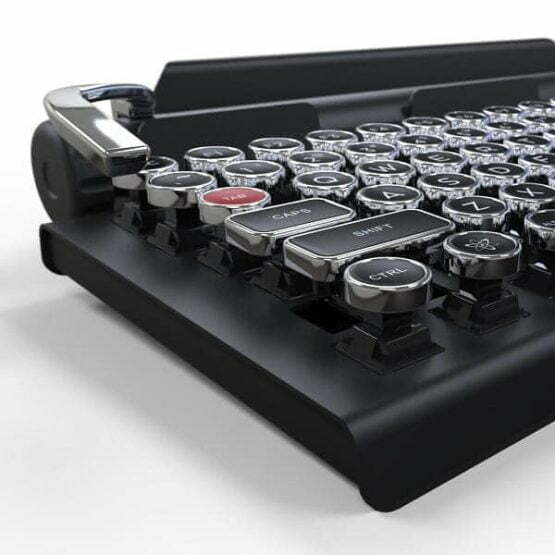 The Qwerkywriter is strikingly beautiful – its chassis is entirely made of metal from top to bottom. 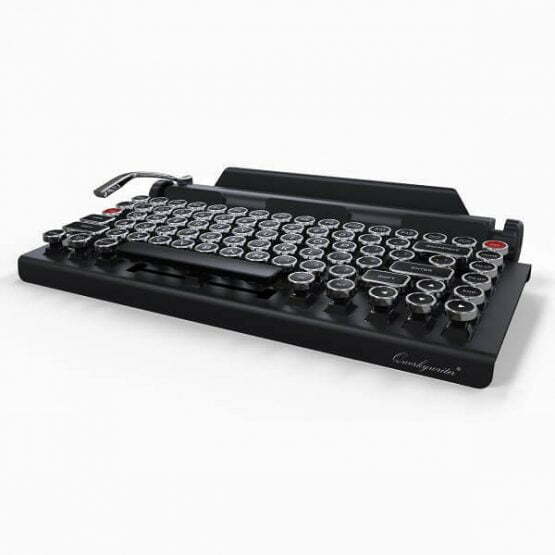 It weighs around 1.253 kg or 2.8 pounds), making it feel like the nostalgic typewriter. But it’s sufficiently heavy to discourage you from bringing this around. I would say it is a pretty expensive keyboard as there are cheaper mechanical keyboards. Despite some of its compromises, this is a beautiful, lovingly crafted keyboard makes a good gift that can draw envious eyes! It’s originally a Kickstarter program and you can also purchase it at the Qwerkywriter’s web site. 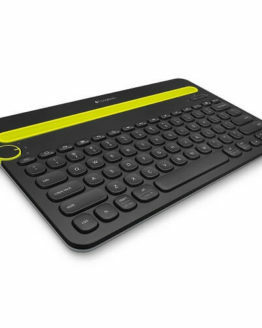 Check out the Qwerkywriter in action below. Interesting, elegant blend of traditional look with modern technology, and, most of all, highly functional. I have trouble typing on tiny touchscreen keyboards and this makes me much more effective when traveling, waiting for my car to be fixed, waiting for my kids to fall asleep, etc. 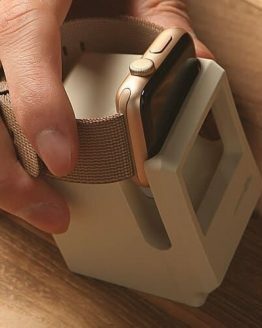 Make the phone/tablet slot adjustable (it’s generally fine but different situations call for different angles) and this gets 5 stars. A little trackpad extension would be nice as well.